Op-ed piece in Euractive from some of the analysts at the Transport & Environment lobby group in Brussels on the future of electric trucks in Europe. It concludes that the technology is already both technically and economically viable for three main reasons. “Battery prices are falling faster than ever before; electric drivetrains are much more efficient than outdated diesel technology; and 65% of the trips by trucks in Europe are less than 500 km, which means there is no need to have the same range as a long-haul diesel truck for most journeys.” At some point in the future – it may be 10 years, it may be 50 – people are going to think of the act of manually driving a vehicle the same way we think of employing animals to haul a plough across a field. That is, something from a bygone age. 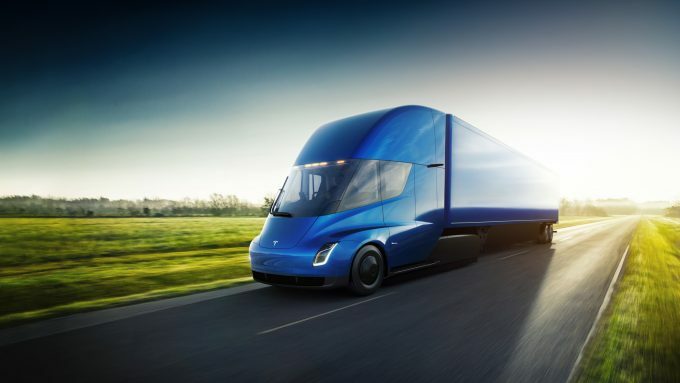 Tesla unveils its first all-electric truck – a 500-mile range and 0-60 in five seconds! Regular gas trucks are massive agents of pollution. By changing to electric trucks we will positively impact the environment.